Tell us about your property – Fast, Easy & Free! We’ll contact you to set up a quick appointment if your property meets our criteria for buying. We will give you a fair written, no-obligation offer. We close at a local reputable title company, cash can be put in your hands in as little as 7 days. Timeframe: We can give you an all cash offer within 24 hours. Then we can close on buying your house in as quickly as 7 days…or whatever day you need to. No waiting months any longer. Zenn Homebuyers buys houses all around Orlando. We do not want to list your house… we want to actually buy your house. Because we can pay with cash, we’re able to close quickly… or on the date of your choice. 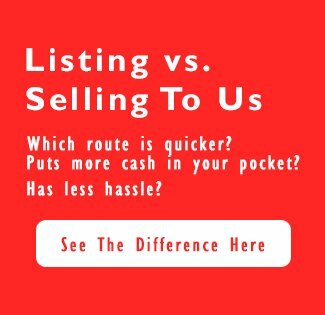 We don’t charge fees or commissions like agents. So you won’t have those extra costs when we buy your house. You will not have to do any repairs, painting, or even cleaning when we buy your house in the Orlando area. Because we buy houses in As-Is condition. We’ll buy your house whether its pretty or ugly. And we’ll buy your house whether it’s inside Orlando or 15 miles outside Orlando.